This week the Design Team at CHNCCC are looking for that extra special card made for that extra special person in your life. I bought this great stamp and die set from Stampendous called, Smiling Snowman. I stamped him and his hat 3 times, coloured him with Copic markers, die cut him out, attached his hat, then set aside. I decided I wanted to make one of those popup cards. 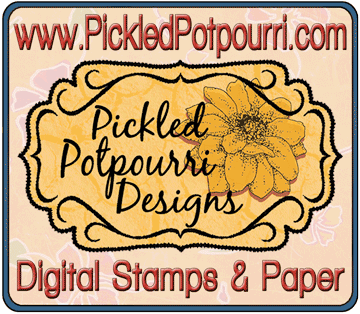 I have the popup dies from both Stampendous (Fran’s Pop Up Die Set) and Lawn Fawn (everyday pop-ups), so my first decision was selecting the patterned paper for the inside and outside of the card. For the how to’s I would suggest checking out Lawn Fawn’s Youtube video at this link https://www.youtube.com/watch?v=T96C5vdjQq8. The sentiments are also from the same Stampendous set. 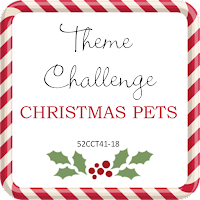 Please join us each week for a new a fun Christmas Challenge. This week at 52 CCT, the Design Team is looking for a Pet themed Christmas card. I purchased this adorable stamp last year but never used it. It is called W174 Patient Pup by Stampendous. I coloured him with my Copic markers, and then just simply layered him on the card front. Please join us each week for new Christmas ideas! It is Christmas in July! It is never too early to start making Christmas cards for 2017. For my card I used a digital image from Dilly Beans called, “Holly Framed Penguin.” I coloured the little critter with my Derwent Inktense Coloured Pencils. I added added a sprig of holly from my Stampendous, “Die & Rubber Stamp Set Pop Up Winter Tweets Birds Free Us.” The background paper acts as my sentiment. Please support our weekly and monthly sponsors who graciously provide our prizes. This week our sponsor is Melonheadz Doodles.